Gareth Southgate's men take on an exciting Colombian outfit for a place in the quarter-final at the Spartak Stadium in Moscow. They meet tomorrow in what will be the eighth knockout tie of the World Cup. England were shockingly eliminated in the group stages in the last World Cup but till now have done enough to convince their fans to dream of the World Cup finals. Colombia have not impressed but they have the team to beat England on their day. Dele Alli is fit for the match and might feature in the starting XI. Ruben Loftus-Cheek has performed well in the last two games. But the extra experience and potency of the Tottenham Hotspur man should see him get the nod. He has scored five goals from just two games and holds the key to England's success. If he is able to take England to the final, he will surely end up as the golden boot winner. He missed a few chances against Tunisia in England's first group match but displayed a sublime performance against Panama. He holds the key for England to create chances. His driving runs will be really crucial against shaky Colombian backline. England's fans will be hoping that Jesse 'Messi' Lingard continues his good run of form. England required an injury time goal from Harry Kane to get all the three points against Tunisia but completely dominated their second game against Panama. Southgate decided to play his reserve team against Belgium which became the cause of their first defeat in this World Cup. Colombia will monitor the fitness of star midfielder James Rodriguez, who hobbled out of the previous match against Senegal. Qunitero scored a clever goal from a free-kick, whereas Falcao also scored his first ever goal in the World Cup. Midfielder Abel Aguilar missed their last game with a muscle problem but has trained normally in the build-up to this match and is expected to be available. 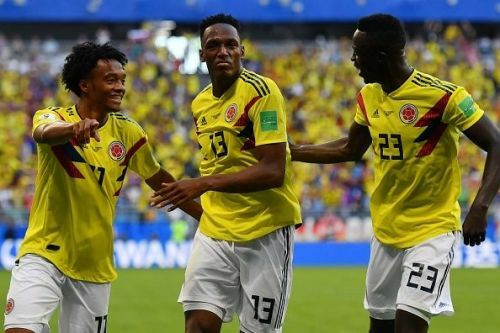 From barely featuring for Barcelona last season, Yerry Mina has risen to the occasion and remained solid in defence and also scored some important goals, while Radamel Falcao is finally beginning to enjoy playing at a World Cup. Mina's primary responsibility will be to remain tight in defence and give no space to Harry Kane to shoot or run. The Colombian striker will have to be as clinical as he can get against England. He will not get many chances to score against a solid defence pair of Harry Maguire and John Stones. Had a poor start to the World Cup campaign when they got beaten by Japan but showed good character to defeat Poland with a heavy scoreline of 3-0. Quintero has been in good form and will have the responsibility to create chances if James Rodriguez is not able to recover in time. Their experienced striker will have the responsibility to score goals especially after getting his first World Cup goal in the group match. England is unbeaten against Colombia in five previous meetings. Michael Owen scored a hat-trick when they last played, which England won 3-2 in New Jersey in 2005. The Three Lions beat Colombia 2-0 in their only previous World Cup encounter thanks to goals from Darren Anderton and David Beckham in the group stage of the 1998 tournament. 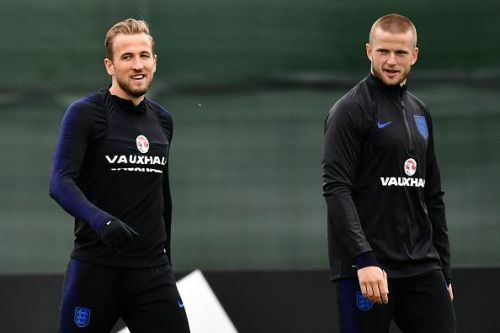 If Kane finds the net against Colombia, he will become the first player to score in six consecutive appearances for the Three Lions since Tommy Lawton back in 1939. England will be favourites heading into this game, especially if Harry Kane can keep up his scoring record so far at the tournament.